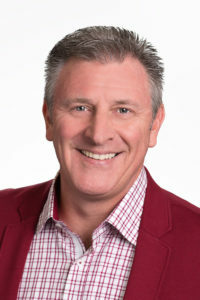 Jeff holds a Bachelor of Arts in Psychology from Georgetown College in Georgetown, Kentucky, and a Masters in Business Administration from Georgia State University in Atlanta. Jeff is a Professional Certified Coach through the International Coach Federation, a Results Professional Certified Coach through The NeuroLeadership Group, and a certified StrengthsFinder Performance Coach. Jeff is also a certified Senior Professional in Human Resources through the Human Resources Certification Institute and a Senior Certified Professional through the Society for Human Resource Management. Jeff volunteers his time advancing the HR and coaching professions. He is a past chair of the Kentucky Society for Human Resource Management State Council, and a past president of Louisville SHRM. Jeff is a member of the Ohio Valley Charter Chapter of the International Coach Federation. Click here to contact Jeff, or feel free to email him directly at Jeff@NallyGroup.com.